Hiya. Have been chatting with @markblagdon about this event. Ive not been able to make any of the previous ones but i could do the Saturday of this one. Is there room and would you want me to join in? Experienced guitar gigging band frontman type person. Can bring an EVH5150. Can join in on jams and help provide 'host' chords or improv solo stuff. I also havent read any of this mahoosive thread. Pay instructions as per page1 post1 yes? @Bridgehouse can you confirm paypal got to you. I can see theres a big list of folks signed up for playing on certain songs. Is there a room for and a similar list of people jamming (stuff not on a list)? Or is it the one list, all rooms? Or something else? There are other rooms for non-songlist jamming to your hearts content!! All - is anyone near/close to Leicester who can pop in to Quad for me and check the booking? They have gone quiet on me and I really would appreciate it if someone could pop in and make sure we are good to go please! There is a number for them on Google - they not picking up? Panic over! Quad just rang - Bob conformed the booking. We have our suite of 3 rooms and use of any other rooms that are free - so there will be plenty of space to spread out and have separate jams!! That’s good news. Is everyone ready to jam?? Ahh great news, glad its sorted. Well it's my first, so the answer is "not really"
I'm a Grade 4 bedroom guitarist, never played live, who seems to think he needs 5 guitars. I'm looking forward to "In Bloom", great song. Im bringing a guitar to jam with as well as my keys. Theres only a few songs that work with keys (and my ability) so should have time to jam as well. Bringing my keys too. For house, you see. We are playing house, aren't we? Tell me it's not all about guitars and rock?!?! I won’t be touching a guitar. And the fretless won’t be there - it’s sick (see other thread). Yes, very sad about your fretless. I’m planning some acoustic shenanigans for Huddersfield if I can get the practise in. Does that count? 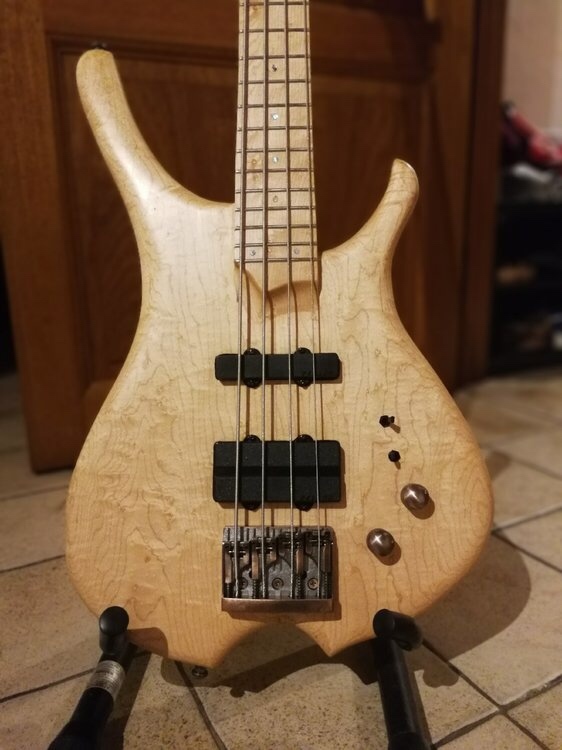 In other news - I’m involved in a “bass pass around” on Basschat - and so I’ll be bringing another bass for any bass players to try out - it’s a handmade bass from a European maker - an Elwray Infinga 4 - and he’d like as many as possible to try it for feedback! @darius, @Brocco. i'm up for some jamming outside of the live room.